This is a selection of photos from the countries where we work. These assets are owned by Water For People. Do not use without a photo credit to Water For People. 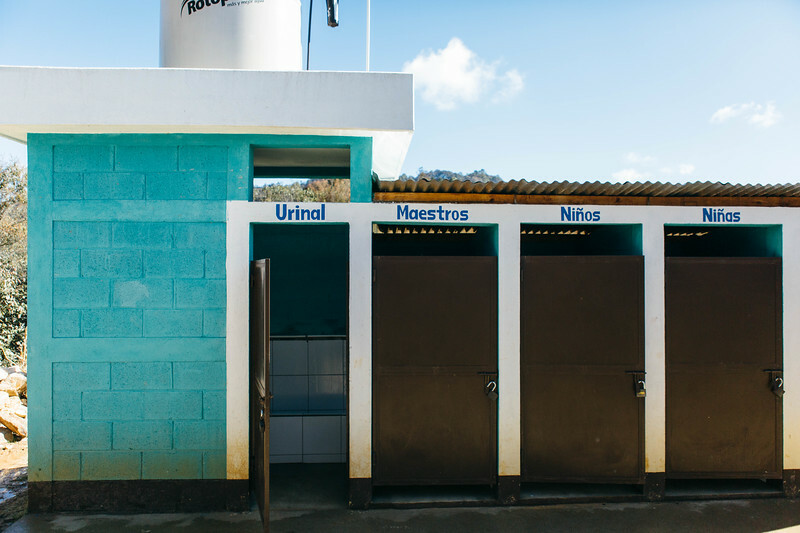 A toilet block at a school in Guatemala. There are separate stalls for girls, boys, and teachers.